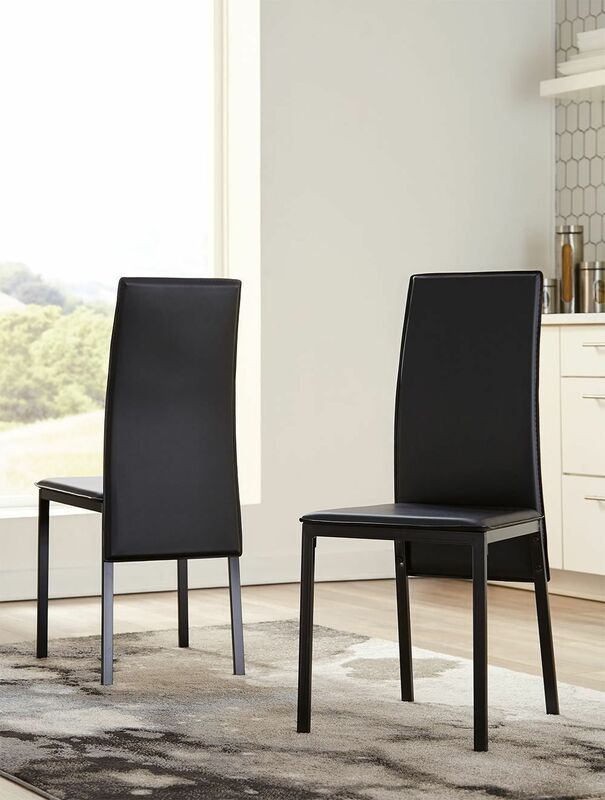 Serving up a fresh contemporary style, the Sariden Black Side Chair exudes charm and modern appeal. It's covered in durable plastic with tubular metal legs to create a clean, crisp look for your casually cool dining space. Enjoy the solid back, allowing you to lean back in comfort as you dine around your table. Smooth and modern, this gorgeous chair blends well with existing furnishings and is a commendable way to update your dining space. Part of our Sariden Collection, this chair coordinates with additional dining pieces. Pieces are sold separately or in combinations of sets. 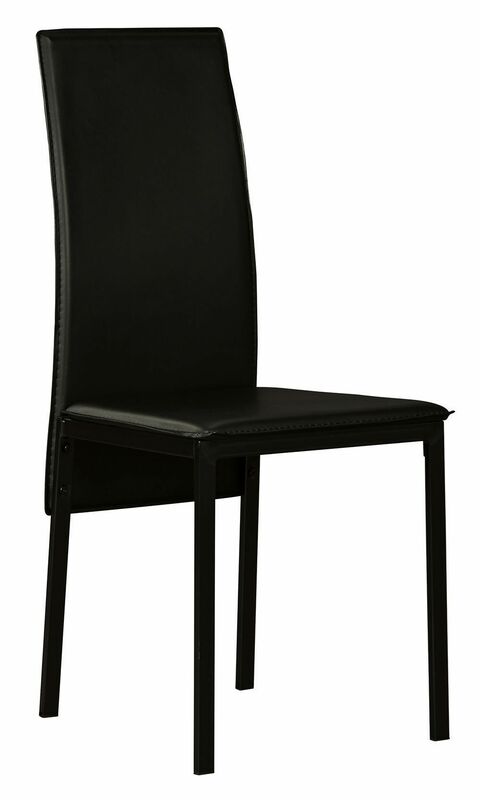 Serving up a fresh contemporary style, the Sariden Black Side Chair exudes charm and modern appeal. It's covered in durable plastic with tubular metal legs to create a clean, crisp look for your casually cool dining space.